IT multinational Cisco has launched a R10-million incubation hub in Durban. The hub — the Cisco Edge Incubation Centre — was launched by the multinational last Friday. 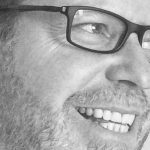 Through the centre Cisco aims to develop small businesses and startups, as well as speed up their entry into the digital marketplace. The Durban hub — which is based at Dube Trade Port — is the second such facility that the firm has launched, following the launch in November last year of a R10-million incubation centre in Pretoria (see this story). In a joint statement today (8 April) by Cisco SA and the Innovation Hub in Durban, Cisco said the hub is part of the company’s commitment to action priorities of the country’s National Development Plan (NDP) 2030 in terms of job creation, skills development and economic growth. Minister of Communications, Telecommunications and Postal Services Stella Ndabeni-Abrahams (pictured above, centre) delivered a keynote address at the hub’s launch. 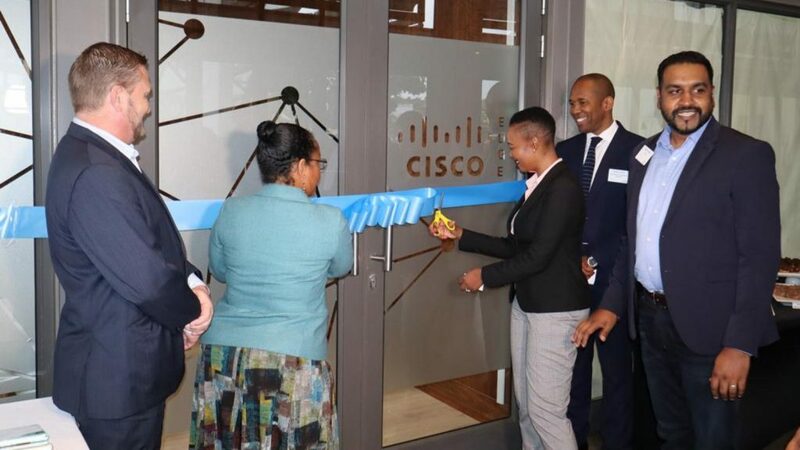 Ndabeni-Abrahams lauded Cisco for its contribution and commitment to building a digital economy through “real, tangible and meaningful efforts” like training youth and supporting local businesses. The Cisco Edge Incubation Centre is a smart building with Cisco technology that offers complete business facilities including workspaces with high-speed broadband connectivity, video conferencing and collaboration platforms, as well as boardroom and training facilities. In addition, small businesses and startups that use the hub will be able to connect with global Cisco experts who can support them develop business ideas and concepts in a digital world. The centre will also provide small businesses with the opportunity to employ graduates from the Cisco’s Networking Academy programme to give them workplace experience. The State Information Technology Agency (Sita) will work in partnership with Cisco to incubate small businesses and startups and to ensure that they have the required skills to design, implement and manage government networks. Commenting in the same statement, Cisco Sub-Saharan Africa general manager Clayton Naidoo (pictured above, far right) said Cisco’s goal is to enable small businesses to accelerate their growth by ensuring they get access to world class technology. Dube Trade Port CEO Hamish Erskine (pictured above, far left) said the facilities at the hub will give entrepreneurs the kind of head start they require to gain a competitive advantage.